The phrase, “There's a market for everything (anything), ” is really true. This is great news for many of us that are looking for things to sell to make money. We aren't going to head down a path of ‘questionable' items or ideas. We're G-Rated here, folks. 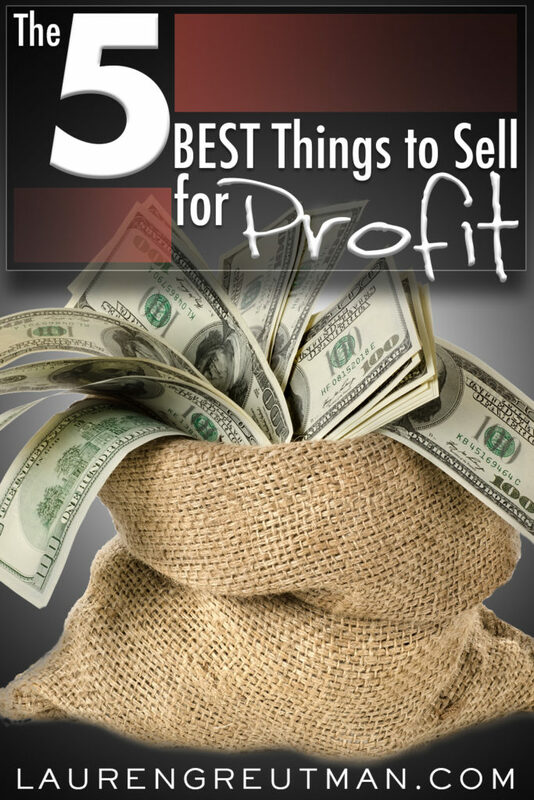 Besides, there are so many legitimate (albeit creative or uncommon) things you can sell to make extra money. Many of them are lying around your home or are getting thrown out. The old proverb, “necessity is the mother of invention” applies in this area for sure. Especially when you lose a source of income or are trying to dig yourself out of debt, or you are a stay-at-home mom (or dad) with motivation to increase your household income, or are trying to set up an emergency fund. These motivators drive us to get creative and make other sources of income for ourselves. If you have decided to walk this path, congratulations! You are now an entrepreneur! Before we jump in with some ideas, here are some guidelines for how and where to maximize your profit and convenience. Now, I don't want to call it junk; that stuff probably has some value to you. You just haven't used it (or looked at it or remembered it existed) in the past 5 or 15 years. Consider selling it. Decluttering your home is a great way to make extra cash and give yourself some breathing room. Now, we both know you'll find the old picture album or the high school yearbook and get distracted strolling down memory lane. This can accidentally make your declutter-to-sell initiative a very drawn-out process. So maybe make a pile of your nostalgic stuff off to the side so you can remember the good ‘ole days when you're not in money-making mode. Remember, you're an entrepreneur now. You're “on the clock”. Depending on what you find, it could be better to sell it on Amazon, eBay, Craigslist, or a yard sale, but there's actually many other online selling options out there for you to consider. Sell that old furniture, music, books, decorations you're not using, collectibles you're not displaying, or clothing you can't remember why you're keeping. If you can't think of an excellent reason why you're keeping it, turn it into cash. I guarantee that I could walk into almost any home in America and find an old electronics drawer or box. 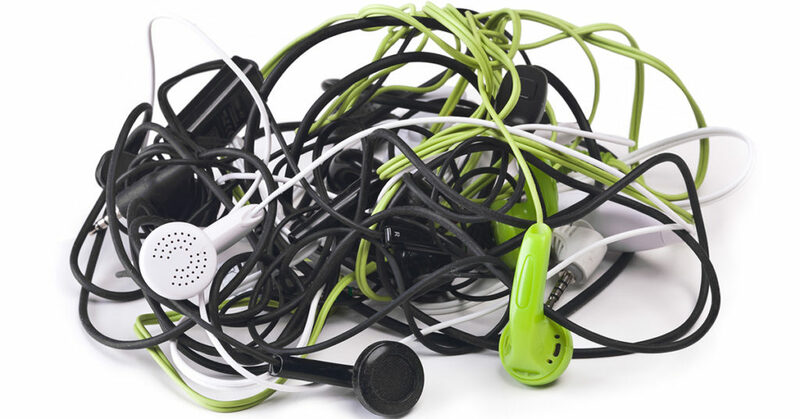 It would be a mass of tangled wires, old cell phones, old iPods, a computer, printer, digital camera, a stereo, a broken Nintendo, or any number of things. 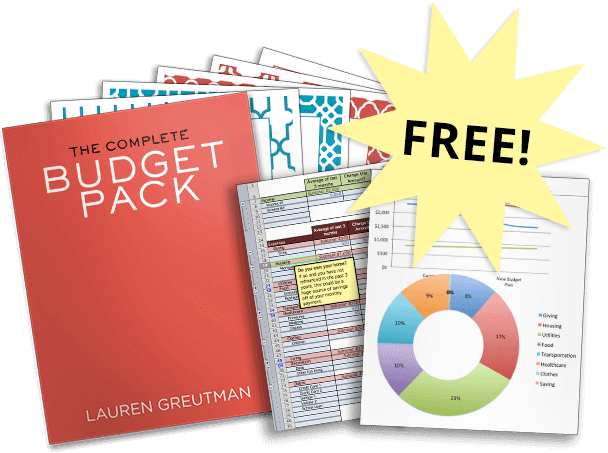 What if you sold it all, got some extra cash, and freed up a drawer or shelf in your house? Do a little research. Find the value on some of these items, and sell them while you're sitting on the couch at night. Many of these items, people want for their components, even if they are broken. They have value! Here's 5 great ways to sell your old electronics! It's no secret that I LOVE THRIFT STORES! Thrift stores are full of things you can sell to make money. There are tons of people that resell as a full-time job! If you're interested, I compiled a list of the Top Brands to look for in the thrift store that can make you A LOT of money. Many of these brands you've never even heard of, but they are worth a lot of money. Click here and I'll send it right to you. If you have a little free time, watch this video, swing by your local thrift store, and see what you find! Here are some more small ways to make money here on how to use thrift stores to help you save money, but you can use those same guidelines to find things to turn for a profit. Autumn is a great season to clean out that toy box! It is the season people look for good deals on used toys to put under their Christmas trees. Maybe you've found an awesome deal on used toys before. Well, if you haven't cleared out your kids' toy stash in a while, there is money to be made! Some toys are extremely collectible and you would have no idea! It wouldn't take long to pull a toy out and do a quick eBay search to see what they're going for. Many toys that are discontinued immediately see an increase in resale value. They don't even need to be old! Seriously! Here's a used Ninja Turtles action figure from 2012 with no box that sold for about what you paid for it new. Maybe $8.39 isn't much to you, but what if you have a toy box full of these things, that's not bad money. Gosh, even if you can get back what you paid for them, you're coming out ahead! Here are even more tips for selling old toys. I go through and sell books every couple years in my house. I use the Amazon seller app on my phone to quickly scan the bar codes and figure out which ones are worth my time selling. If my profit for selling the book is under $3, I'll place it in the donate bin. But if it's $3 or over, I'll list it and ship it out once it sells. Books are great to sell for 2 reasons. 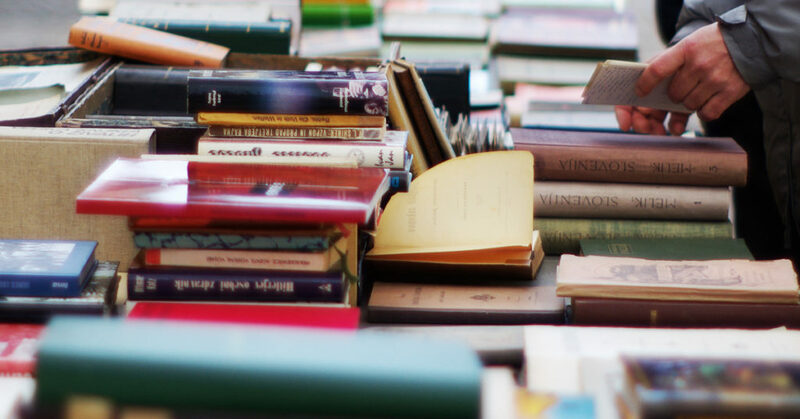 Open an Etsy shop to sell vintage books. The other reason that books are great to sell is because that they are easy and cheap to ship. By using media mail at the post office, you can ship very inexpensively no matter how heavy the book is. There are so many other things you can sell to make money, so let these serve as inspiration for your new entrepreneurial spirit! There is money to be made! Please send me the budget spreadsheet. This is a great website, there’s need for improvements but over all it’s great! Where is the app you spoke of called Price Blink ? It is found at priceblink.com. It’s a browser download so you use it on your computer browser.